We at CEX.IO officially state that we do not have an established relationship with the QIWI payment service provider. 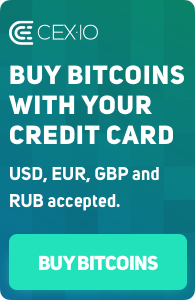 All CEX.IO users are able to trade on the BTC/RUB trading pair, which is active and fully functional on our platform. Deposit and withdrawal methods for the Russian Ruble currency will be released soon.